Local women immediately saw getting food to survivors was practical help in the chaos after the devastating disaster. When international and local media started to feature stories about the heroes of Palu after the Central Sulawesi city was hit by 7.5 magnitude earthquake and a three metre tsunami on 28 September, my thoughts went to two women. Nerlian “Lian” Gogali and Nurlaela “Ella” Lamasitudju. Where are they and what are they doing? Are they okay? For those concerned with humanitarian and women rights issues, Lian and Ella are well-known figures. They are activists for peace and reconciliation in a region that has suffered a deadly Muslim-Christian conflict. They are heroes who have stood up for victims and survivors for decades, and Ella is also campaigning for justice from Indonesia’s darkest history, the 1965 communist purge. My curiosity ended soon. Lian, who lives in Tentena, Sulawesi, posted an update on Twitter. Soon after Lian’s post, Ella shared a photo on Facebook with descriptions of the survivors in the traditional market in Palu. I spoke to Lian on Monday about the aftermath of the terrible wave. She said at first she was shocked, but soon managed to calm down and organise a team, including Ella, to build a “dapur umum” or public kitchen. It had to be done in less than 24 hours, to help the devastated and hungry survivors. Lian and Ella successfully gathered 100 volunteers. The first group of volunteers rode motorbikes, the fastest way to reach the disaster area. The second group brought a car with full of “nasi bungkus” (rice meal wrapped in banana leaf or sometimes paper). They believed that food and medicines were the most vital aid to be delivered at that time. In a week, Lian and team raised Rp 500 million under the Mosintuwu Institute to set up 12 public kitchens, with two in Donggala, another in Palu and Sigi, and eight in Pantai Barat Donggala. 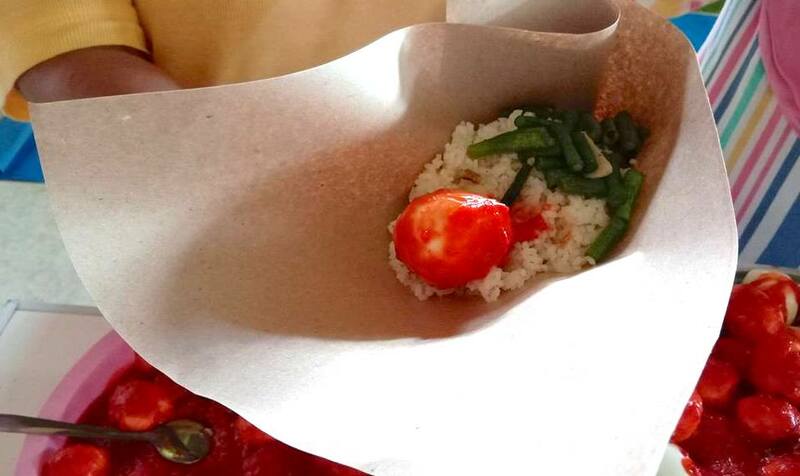 They cooked more than 10,000 nasi bungkus, sending some to those in need. The team saw food as the best strategic choice to help the survivors before any kind of aid. It’s real and it’s needed. Building a house can wait. But there’s another story behind the public kitchen. It’s not only for cooking. The public kitchen is also a place for survivors to meet, build a dialogue, and heal. Lian and Ella are both familiar with working in conflict zones and healing trauma after tragedy. That was when “the healing kitchen” project began. Cooking together is considered the first step in healing for the victims. Second is building a conversation about their loss and hope after the disaster. The only stipulation the team has, is that it would not help to build the public kitchen unless the villagers were themselves willing to organise the work, ensuring local support. In a lesson learned from the Poso conflict and the Yogyakarta earthquake in 2006, the team refused to give the survivors instant noodles, as Indonesians usually donate to disaster areas. Instead, they cooked rice and fish abon (shredded and fried meat that can last longer). Aside from being healthier, this food doesn’t need to be cooked again. Meanwhile, the Indonesian government is failing to fairly distribute aid due to the bad management and is busy “filtering” the international aid by requiring foreign agencies to work only with the government itself or with local NGOs. It was an emergency, but donors had to deal with a panicked and complicated bureaucracy. Perhaps the lesson should be taken from local women activists, such as Lian and Ella. Instead of debating about whether they will accept the international aid and what kind of aid, the Indonesian government can learn how to prioritise the victims. Food first, and then let the healing begin. 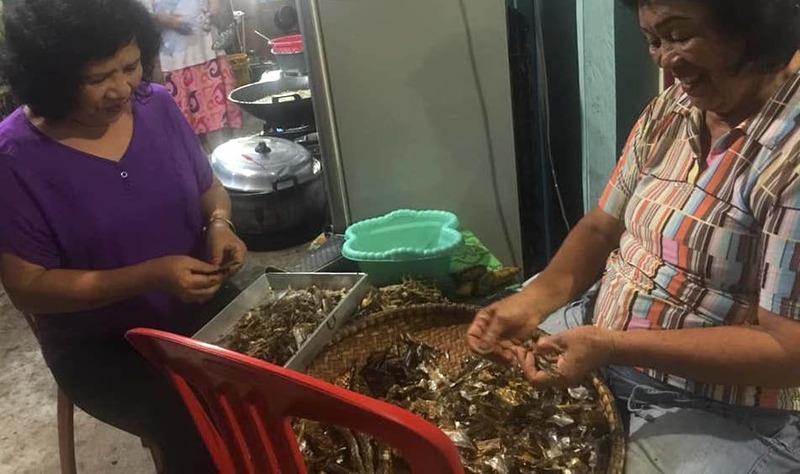 Seeing women activists get involved in the aftermath of a natural disaster is hardly new in Indonesia, even if the idea to focus on the pragmatic things in their own way is a breakthrough. For example, Fitriani Ismail, a social activist from Lhokseumawe, who received the International Alliance For Woman (TIAW) award in the United States in 2012, worked in Aceh for five years with victims of the 2004 Indian Ocean tsunami. Ismail taught skills such as handmaking gifts to tsunami survivors, as well as with the widows whose husbands died when conflict struck. 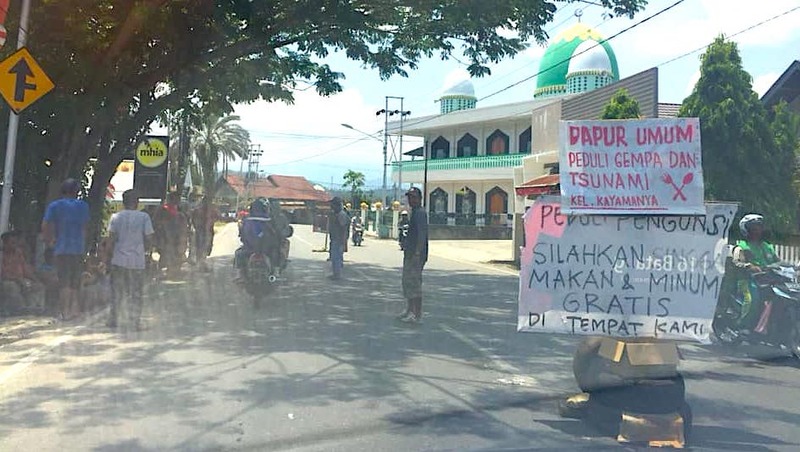 Yet Ella tells me survivors feel disappointed and angry with this decision, while the media reports that in Palu and Donggala, the supply of the milk for children is lacking more than five days after the disaster. Perhaps the best way to avoid repeating mistakes would be to put women at the forefront of recovery.